We’re writing this post as a Snowmageddon blizzard bears down on BestRide’s Boston headquarters and threatens an historic dumping of snow. As we wait for the white stuff to hit, here are some old-school rides that could make the slushy aftermath more fun. 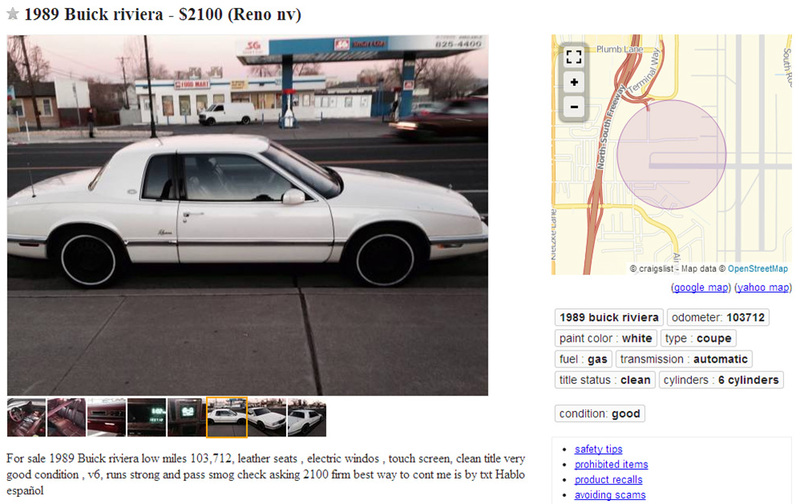 The point of a winter beater is to get something fun with extra traction, and not too nice so that you don’t mind if you stuff it into a snowbank or coat it with corrosive salt. These are the way-station cars, the ones with a specific purpose of which you could probably find another. 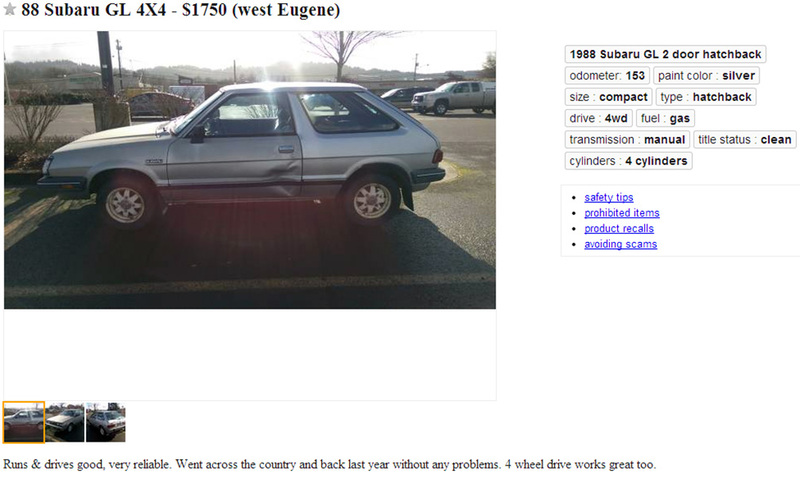 Or maybe not with this Subaru GL Hatchback. When was the last time you saw one of these? 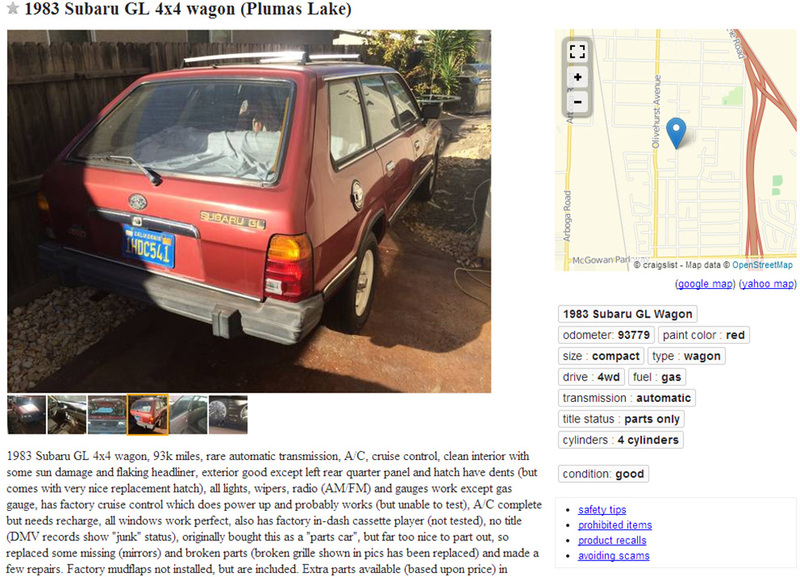 I remember these most as stripped-down front-wheel drive models, but this one looks ready for action on those white Jackman-style wheels. 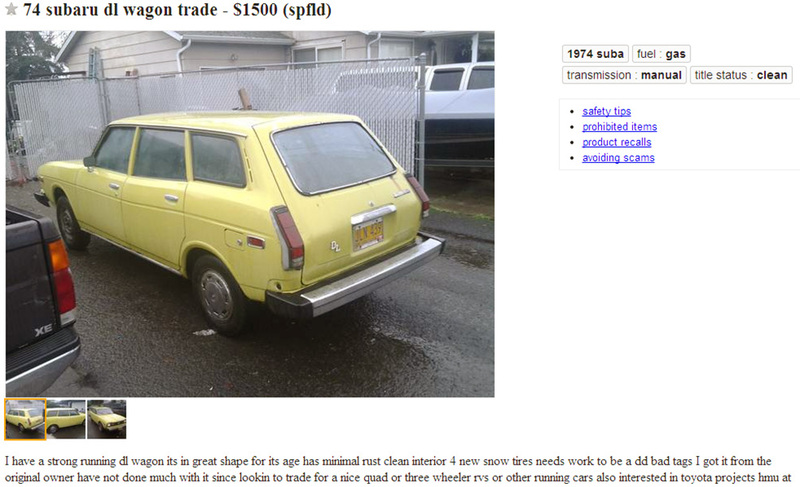 …and this ’70s wagon needs some work and is only front-wheel drive, but it looks workable. 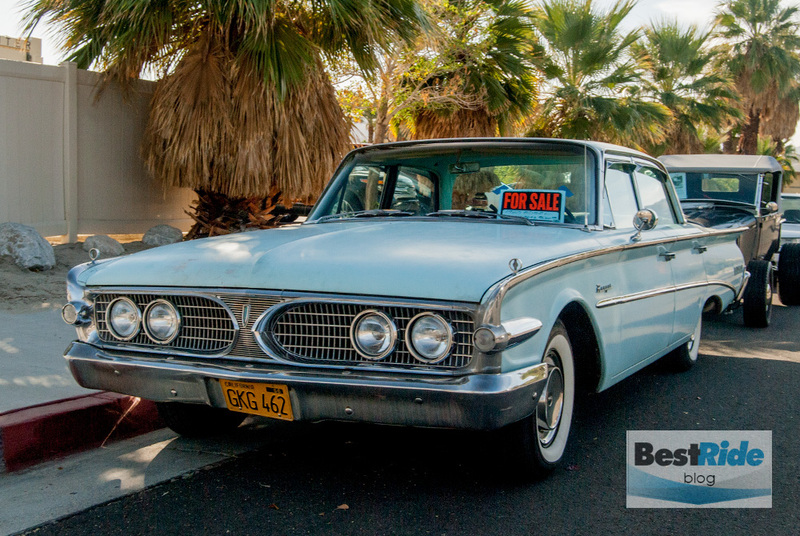 Speaking of front-wheel drive, you could throw some snow tires on this Riviera and charge through the accumulation with a little extra comfort and weight. 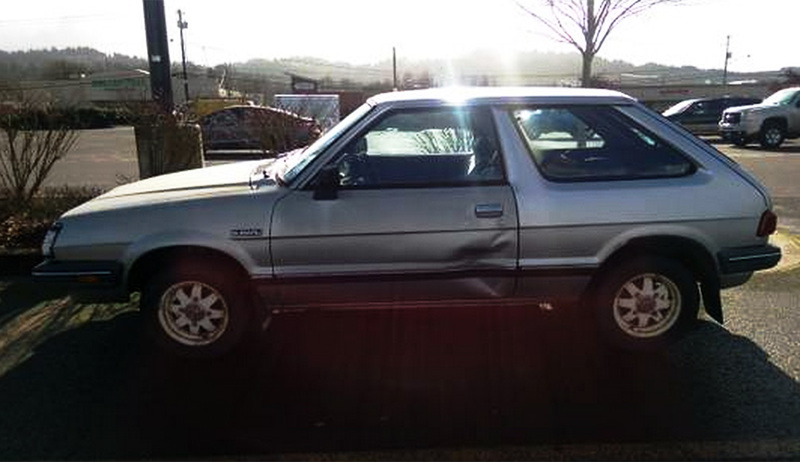 …and here’s a raised SX-4 for the snowdrifts. 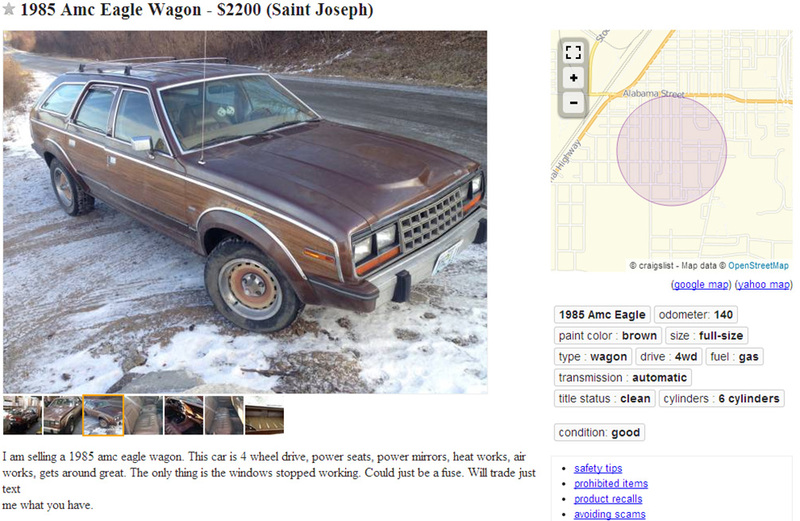 Here’s an Eagle wagon in all its woodgrained glory. 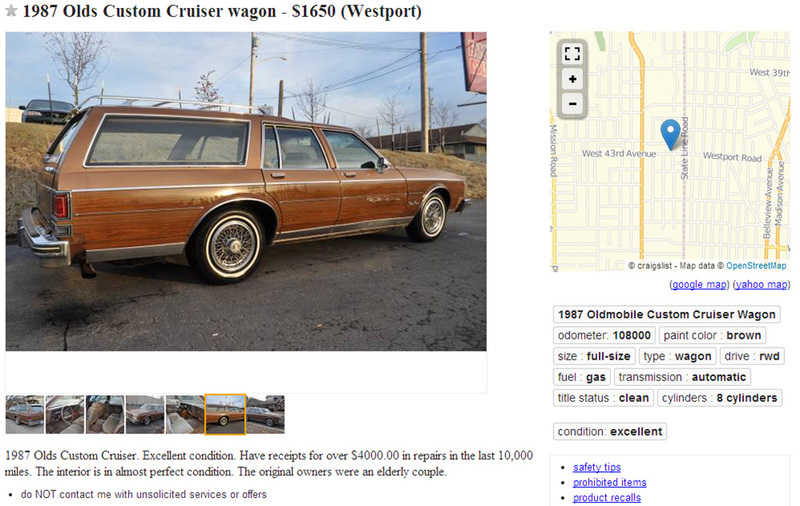 Speaking of woodgrain, those last big GM wagons had excellent weight distribution, and so some winter tires on this Custom Cruiser could make it a fine errand sled indeed. 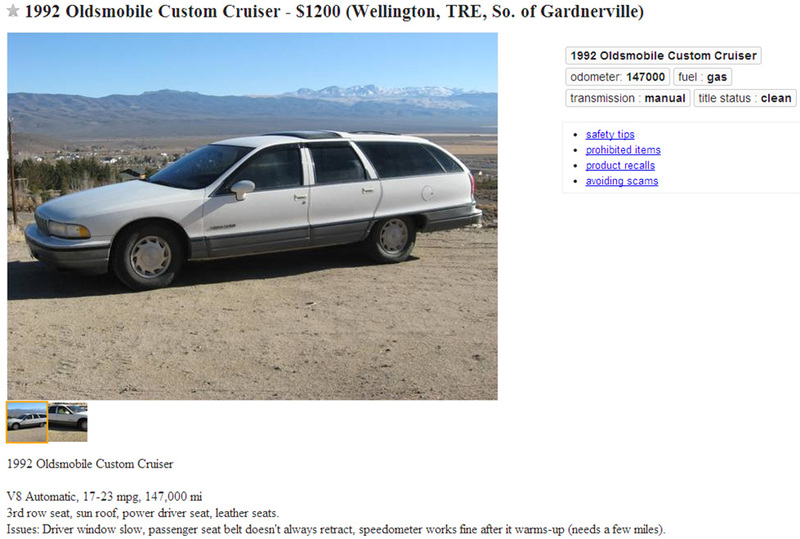 Except for the unfortunate passenger-door sideswipe, this Cruiser might just about be too nice for the salt. If you don’t like wood and/or boxy shapes, here’s a slipperier Custom Cruiser from the early ’90s, in snow white. 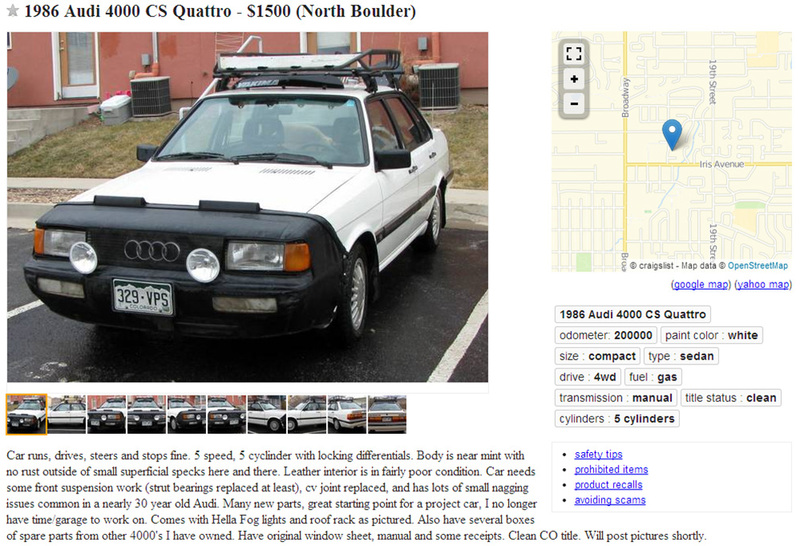 If you wanted white and European, then you’d consider this Audi 4000 CS Quattro. 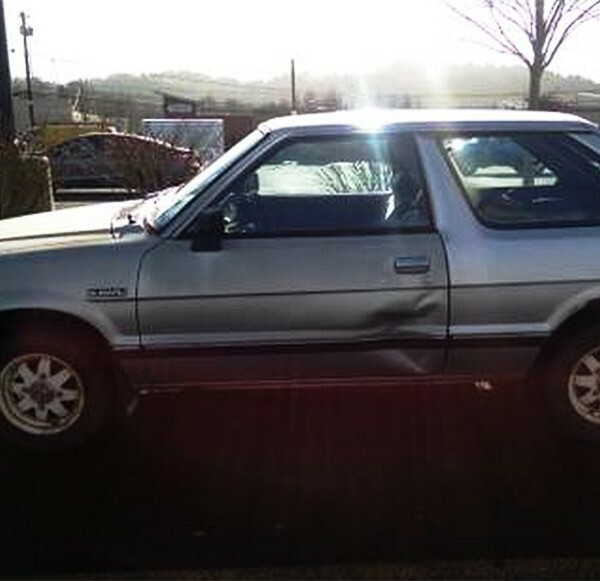 You’d probably be committing yourself to the repair frequency of a project car, but that fits, as winter is about suffering. 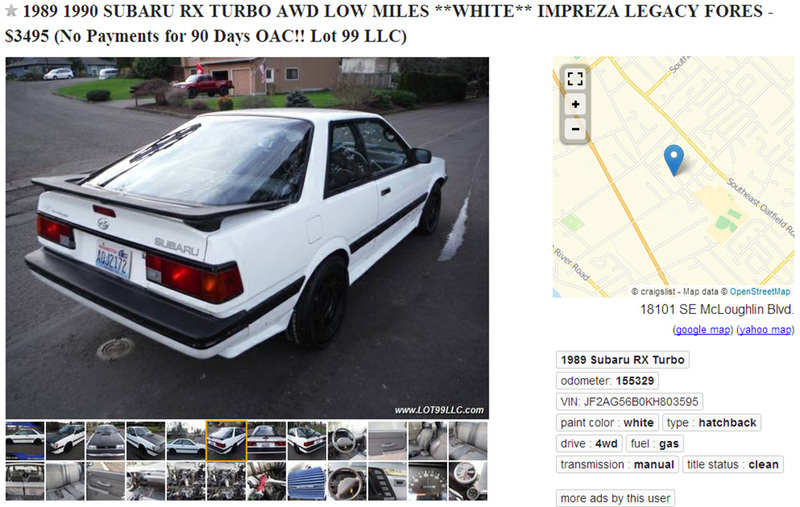 Another white mighty mite is another rare Subaru hatchback, this a late-’80s RX. 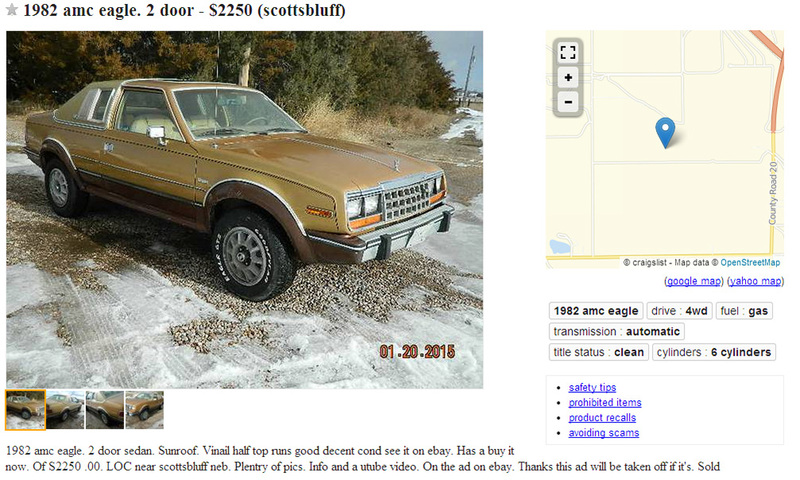 It’s rare now because it was almost unreasonably expensive in its day, and that’s too bad; that bubble glass in back is pretty neat. 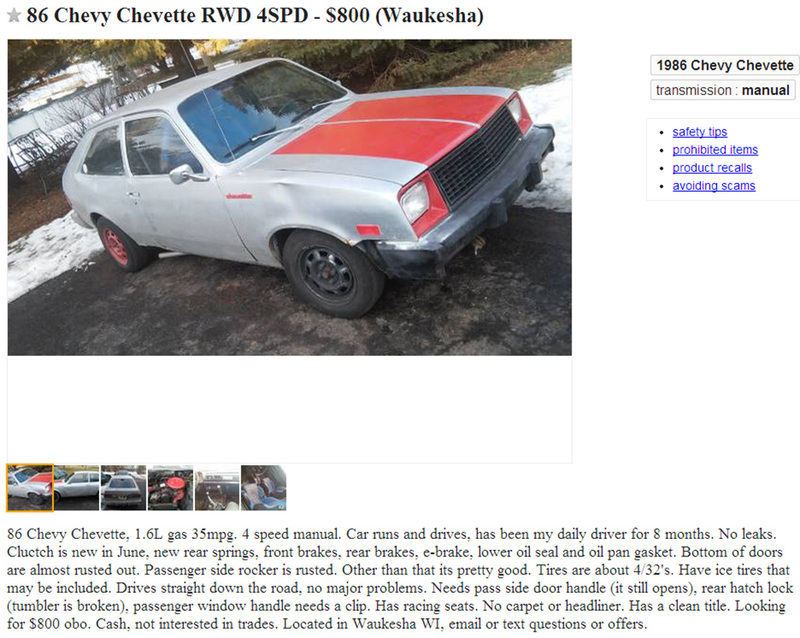 And then it’s tempting to go completely in the opposite direction – traction be damned, let’s go ice racing in a skinny-wheeled, rear-drive Chevette. 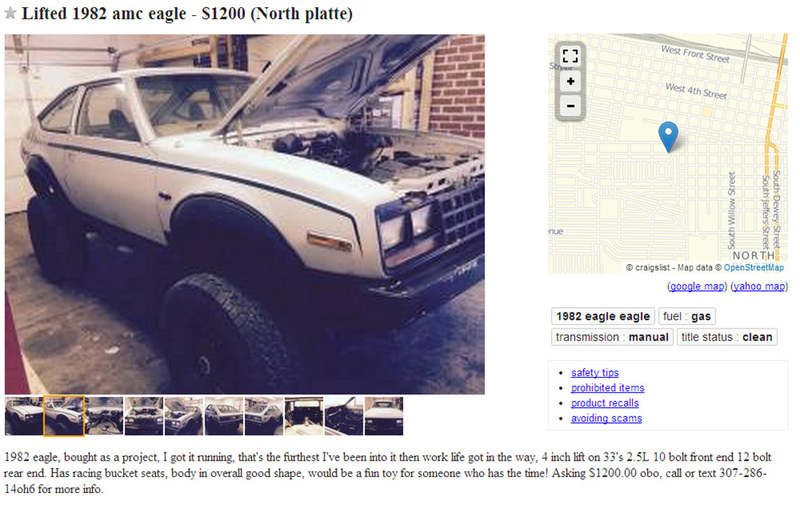 This one even comes with ice tires. Woo-hoo! 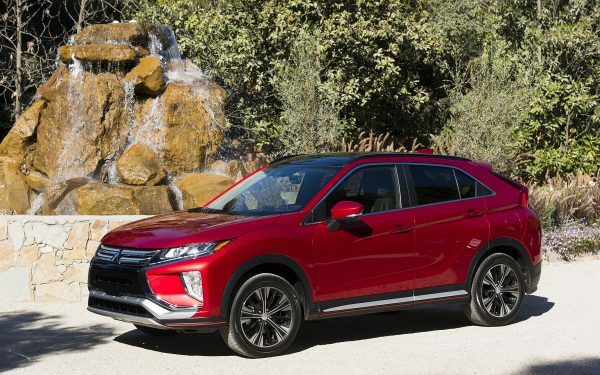 Stay warm, and tell us in the comments – which of these would you choose as your winter wheels?